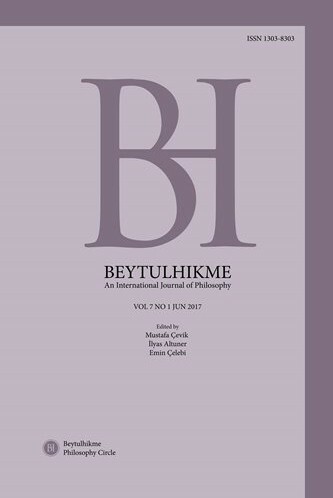 Beytulhikme An International Journal of Philosophy is a refereed peer-reviewed open-access philosophy journal which is published quarterly in March, June, September, and December. The official languages of the journal are Turkish and English. Beytulhikme publishes articles in all areas of classical and contemporary philosophy. Special emphasis is placed on the exchange of ideas between philosophers of different theoretical backgrounds and on interdisciplinary research into the relationship between philosophy and the social and natural sciences. In addition, Beytulhikme aims to combine East and West around wisdom. Because the name of the journal, “the house of wisdom”, indicates the connection between theoretical and practical wisdom. Therefore, Beytulhikme aspires to clarify the truth and endeavors relevant to this purpose.